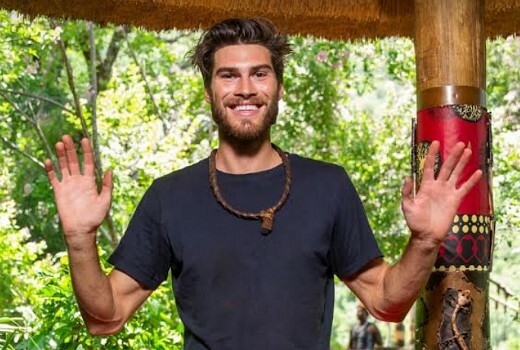 King of the challenges, Justin Lacko is out of the jungle, in a shock vote on I’m a Celebrity Get Me Out of Here. The former Love Island contestant has provided some of the more surprising storylines of the 10 reality series, with viewers stunned by his lack of social graces, but impressed by his endurance. Lacko is powered through extreme challenges involving animals, food, heights and electric shocks, never giving up in his quest for 12 stars and clocking up a World Record for most publicly-voted trials in the show’s history. But he has also shown the least social skills and intellectual knowledge and been accused of being too vain. Regardless, he has dominated storylines across the season. Ultimately, they weren’t enough to spare him from elimination just days before the finale. 2 more will depart in the penultimate episode tonight at 7:30pm. Good! Making Yvie’s weight speech all about him was just too much for me and obviously the voting public too. Now that ‘Idol’ Justin is gone I’m actually happy for any of the existing celebs to win. Although I’m secretly hoping Luke takes it out. He seems like the most caring and sweetest human being. Being chosen for challenges is a negative, not a positive. It means the voting public dislikes you in some way, and wants to punish you. It was such a whitewash to pretend it was a good “world record”. True but I believe you can turn it around and would argue he did. Not always the case. Jackie got quite a few trials last year due to encouragement from Ben Gillies (her husband) encouraging her fanbase to vote, as it gave her increased coverage allowing those who like them to see more of them. Outside of that though I do think some were persuaded to vote for him so they could help the supposed world record. Although in saying that I’m not fully convinced it is a world record. I recall them telling Laurina that she had the world record too, and she got a sash and flowers. I believe she had 9 or maybe more trials? I feel like they overlooked her just to hype this series up more. I believe that being chosen can sometimes be good for you but can be bad. I think that some of the people who voted for him actually liked him and wanted him to compete while others did it because they like to see him ‘in pain or anger’ or because they disliked him. Many of the celebrities were voted in at some times back to back because the public liked them or their reactions to tucker trials. Tucker trials are sometimes even fun for the celebs, who might want something different to do other than stay inside the camp doing nothing. While I truly did admire his competitiveness and toughness in challenges, I think Justin was written down in big bold letters by the voting public after his discussion with Yvie the day before. That discussion would have certainly been fresh in peoples minds. The pity for Justin is he could have easily won. If had eased back on the ‘ look at me ‘ and turned the record into a positive by saying he “didn’t mind taking all the yucky stuff for the team and his charity” — but he simply isn’t that smart. If Justin was written down by the voting public, then that would have been to save him. People only leave by getting the least amount of save votes. It isn’t ‘vote to evict’. Each vote you cast with a name goes to saving that person.